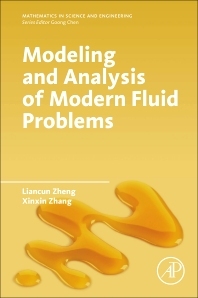 Modeling and Analysis of Modern Fluids helps researchers solve physical problems observed in fluid dynamics and related fields, such as heat and mass transfer, boundary layer phenomena, and numerical heat transfer. These problems are characterized by nonlinearity and large system dimensionality, and ‘exact’ solutions are impossible to provide using the conventional mixture of theoretical and analytical analysis with purely numerical methods. To solve these complex problems, this work provides a toolkit of established and novel methods drawn from the literature across nonlinear approximation theory. It covers Padé approximation theory, embedded-parameters perturbation, Adomian decomposition, homotopy analysis, modified differential transformation, fractal theory, fractional calculus, fractional differential equations, as well as classical numerical techniques for solving nonlinear partial differential equations. In addition, 3D modeling and analysis are also covered in-depth. This book includes many useful method to caculate PDE in fluid dynamics and heat and mass transfer problem. It is useful for researchers, experts, and students in this relative fields. Liancun Zheng (University of Science and Technology, Beijing), is a Professor in Applied mathematics with interest in partial/ordinary differential equations, fractional differential equations, non-Newtonian fluids, viscoelastic fluids, micropolar fluids, nanofluids, heat and mass transfer, radioactive heat transfer, nonlinear boundary value problems, and numerical heat transfer. He has published more than 260 papers in international journals and 5 books (in Chinese) and has served as Editor or Guest Editor of International Journals on 10 occasions. Xinxin Zhang is a Professor in the School of Engergy and Environmental Enginerring at the University of Science and Technology, Bejing.He is interested in thermal physical properties and thermal physics, mathematical modelling, system optimization and computer control, the numerical analysis of fluid flow, and heat transfer.